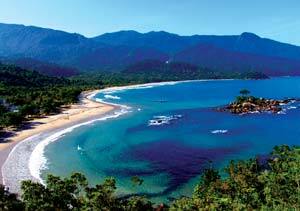 Arrived at Ilha Bela for the long weekend. At a mooring buoy at Ilha Bela Yacht Club. Crying over a anchor dram after failing to start the generator this morning. Stuborn engine is giving us a hard time but we still keep a positive outlook and WILL enjoky the weekend ... Without easter egss ... No one remembered to mail us one.